Mary Ellen S. Chalmers, DMD, NMD, IBDM, is a dentist in group practice in Santa Rosa, CA. She practices integrative and functional dental medicine, which incorporates Functional Medicine principles and practices with the art and science of dentistry. 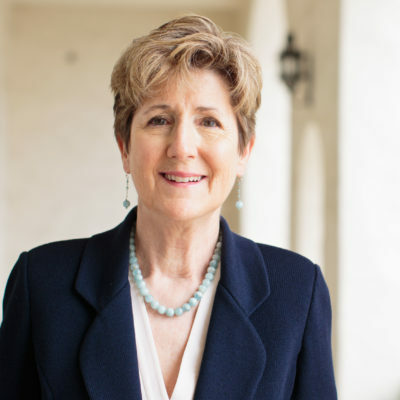 Dr. Chalmers received her dental degree from Tufts University School of Dental Medicine in 1980 and became a board-certified Naturopath in 2010 by the American Naturopathic Medical Association with training from the American College of Integrative Medicine and Dentistry (IBDM). She has augmented her studies with extensive training in traditional dental modalities, as well as areas of Functional Medicine. She has advanced trained in oxygen and ozone therapy and its applications in dentistry and Applied Functional Medicine in Clinical Practice (AFMCP) and Advanced Practice Modules (APMs) through IFM. Dr. Chalmers has the distinction of being the first dentist certified as a frequency specific microcurrent practitioner. She has been working since 2006 to develop the dental protocols and applications for this technology and holds the US and international patents. In 2010, she co-founded Functional Synergy Corporation, a company dedicated to research, teaching, and product development in the field of oral systemic medicine. Dr. Chalmers’ professional memberships include the International Academy of Oral Medicine and Toxicology, Institute for Functional Medicine, American Naturopathic Medical Association, International and American Academies for Dental Research, Academy of Dental Materials, and American Dental Association. She is on the board of the Frequency-Specific Microcurrent (FSM) Research Foundation and has made presentations at symposiums for FSM and IFM, at the 2011 LENS Conference as well as dental and medical study clubs and community organizations. Clinically, Dr. Chalmers believes the practice of Functional Medicine-based dentistry bridges the gap between evidence-based dentistry and biological dentistry, as well as providing a critical foundation for communication between the medical and dental professions, enhancing the quality of care for patients.